"Newcomers usually have their mobiles taken away, aren't allowed to communicate with family or neighbours and get no day off. The working conditions here are making people go crazy." Domestic helpers – nearly one-third of which come from the Philippines – work an average of 14 hours a day, with only 12% given one day off per week, according to a new report. Employers negotiate contracts directly with their workers, with many offering a monthly payment of around £25 if no rest day is taken. Salaries range from around £125 to £350 a month, although many workers receive no pay for the first six to 11 months of their contract due to agency fees. 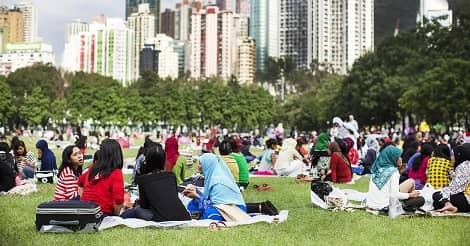 Mandatory rest days are already enshrined in employment law in Hong Kong and Taiwan, and it seems Singapore's domestic employers may soon have to follow suit in allowing their employees some relaxation time, says Edmund Pooh of Universal Employment Agency. "It will be difficult for them to attract good workers if they don't." Mr Edmund Pooh of Universal Employment Agency suggested an independent body be set up to verify the age and qualifications of maids here. She has difficulty settling into your household and can’t get along with some family members. Your helper may be having trouble assimilating into a new culture. So make sure her basic needs are met – that she has a clean and comfortable room, and enough food, since she may not be used to the kind of food your family eats. She may also be missing her loved ones back home, so if you sense that she feels unsettled, have a chat with her – assure her that you care about her and that she’s part of the family. Remind her that her sacrifices are worth it, and let her speak to her immediate family regularly so she feels connected to them. Getting along with everyone at home may be trickier. With different personalities and expectations, it’s not unusual for tensions to arise. Get your helper’s perspective on the situation, then suggest ways to deal with it, either by getting her to adjust her attitude or to understand what others in the family are like. Next, have a talk with the family member who’s not getting along with your helper. Emphasise the importance of harmony and compromise since you’re all living under the same roof. She spends too much time on her chores and doesn’t work effectively. This could be due to differing expectations: your maid may think she’s doing her best, but you think otherwise because you can do it faster or your last helper was more productive. You shouldn’t compare your current helper to your previous one – it will only breed resentment and cause her to feel inadequate. Instead, go through her daily routine with her and find out how she does her chores. Tell her how she can do things more efficiently. Never give her more than she can do. Start with a few simple tasks and build them up when you’re confident that she can manage. Don’t forget to praise her when she’s done something well. This will increase her confidence, and in turn, enhance her work performance. Your helper looks after your children and your elderly parents, on top of doing the household chores. She may take her frustration out on the kids or your folks, or not make them a priority. If she has been slack in taking care of the kids or helping your parents at home, understand that her behaviour is likely due to the frustration she feels about her daily routine – she might be overwhelmed and stressed. Talk to her and see where you can make things more manageable for her. If she takes it out on your family verbally or physically, bring in the agency to help resolve the issue. Abuse of any kind should not be tolerated. If the problem can’t be resolved and she returns to her old ways, consider getting a new helper. Universal Employment Agency Pte Ltd is leading professional consultancy that specialises in the placement of foreign domestic helpers mainly from Philippines, Indonesia and Myanmar. We are also experts when it comes to hiring of transfer maids or simply assisting employers with direct hiring of a maid they already know. Since 1986, we have been providing unmatched expertise in working with employers and foreign domestic helpers to facilitate a successful match. Our experience over the years plays a part in ensuring a high success rate of matching employers with foreign domestic helpers. 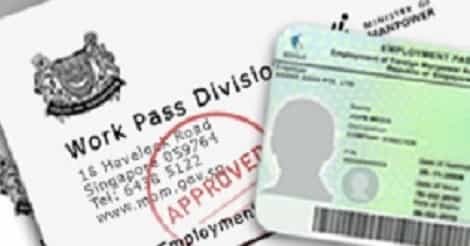 Each year, an increasing number of employers and foreign domestic helpers engage Universal Employment Agency Pte Ltd through personal referral. This is a testament to the high level of professionalism and service that has established us as a market leader for over 30 years. Therefore, that makes us one of the best maid agency in Singapore that specialises in the placement of maids. Transfer Maids refer to maids in Singapore and are currently working with a family but will be available soon for transfer because they are finishing their contract or the family may be leaving Singapore for good. First-Timer Maids are maids without any experience working abroad but may have some local experience in their own country. These maids are suitable for families who have someone at home to guide for the initial months. Ex-Abroad Maids are maids with no working experience in Singapore but they have experience working abroad, in countries like Hong Kong, Middle East, Malaysia and etc. They are now seeking a job opportunity to work in Singapore. Hiring a maid to take care of your baby is a common option in Singapore. Not many maid agencies in Singapore always have ready experienced transfer maids but we do. We have experienced transfer maids in Singapore whom you can interview in person. As parents, we always want the best for our children. Including hiring the best maid in Singapore and you can definitely make a better hiring decision by selecting us, one of the best Maid Agency in Singapore with over 30 years experience to find the best maid for your family. If you are looking for an experienced caregiver / maid to care of your elderly parent, we can definitely assist. They are mostly Filipino maids who have completed their course in caregiving but if language is a barrier, we do also have Indonesian maids that have caregiving experience. Spending quality time with your loved ones may be difficult due to the never ending household chores. However, the solution is to hire a full-time maid. A full-time maid is a live-in maid in Singapore and definitely a more cost effective solution to hiring part-time cleaner. Settling-In-Programme (SIP) is a mandatory 1-day orientation programme for first-time Foreign Domestic Workers (FDW) which any Maid Agency in Singapore can assist to book on your behalf. Transportation for your maid can also be arranged. Direct hiring of maid is not uncommon in Singapore. We can assist to do the paperwork in Singapore as we are a licensed Singapore Maid Agency with the Ministry of Manpower since 1986. 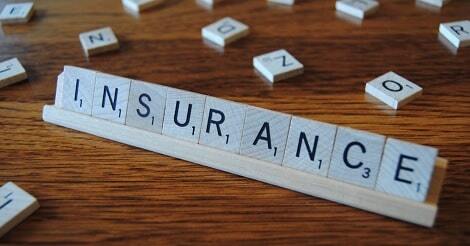 In addition, you can purchase your maid insurance from us too! We can provide the service to do the paperwork in Singapore and facilitation in the maid's home country, if necessary. 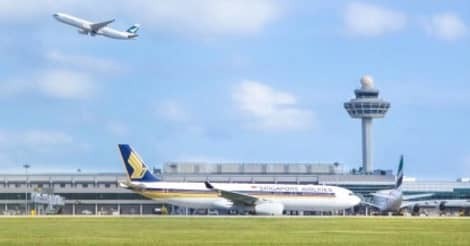 Upon your maid's arrival in Singapore, we can arrange for an airport transfer, send her for her first medical check up and completing the SIP before handover. Since 1986, we are a licensed Maid Agency in Singapore with the Ministry of Manpower, therefore we are approved to submit the Work Permit application for you to hire a maid. Not all applications are straight-forward, so it's best to leave it to the experts like us for a smooth process. Work Permit of Foreign Domestic Workers (FDW) is usually valid for 2 years. We can provide the service to renew your maid's work permit if you have already received the work permit renewal letter from the MOM. And your maid insurance can also be purchased from us. This is a mandatory requirement by the Ministry of Manpower for all maids in Singapore to be covered by sufficient insurance coverage for the duration of your maid's work permit validity. We have one of the most competitive rates, check with us! MOM requires all maids in Singapore to go for a routine medical check-up every 6 months. A reminder letter will be sent out to the maid's employer. If your maid's medical check-up is due before transfer, she will have to complete it before she can transfer. 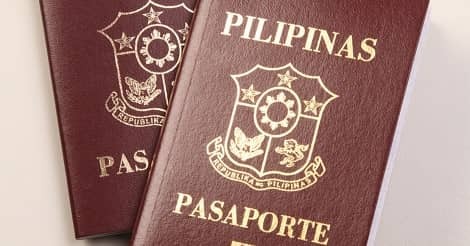 Most Maid Passport Renewals can be done on your own, except the renewal of a Filipino maid's passport whom have worked for you for less than 2 years. The Philippine Embassy will require you to go through an Accredited Maid Agency like us to submit the paperwork on your behalf. Save precious time and have your maid's home leave application taken care of by us, as we are an Accredited Maid Agency with the Philippine Embassy. We will take care the home leave processing from start to finish, usually completed in 4 weeks. For urgent request, we can also assist. When it's time to say good-bye to your maid, you may not have the time to personally send her off at the airport. We can provide the repatriation service for your maid. Just contact us for more information and please give us at least 3 days notice. What is the main difference between a new maid and a transfer maid? A new maid typically refers to an inexperienced maid, working in Singapore for the first time. A new maid will be more willing to work with no or 1 day off and will be able to accept a lower salary. A transfer maid is someone who is currently working in Singapore. A transfer maid is the preferred choice for most employers if they are able to offer at least 2 days off and a higher salary, as they are able to interview a transfer maid in person, giving them a better judgment call to choose the right maid for their family. I wish to let my maid transfer, what are my responsibilities? Written consent must be given. You must continue to pay the levy up to the day before the new Work Permit is issued. 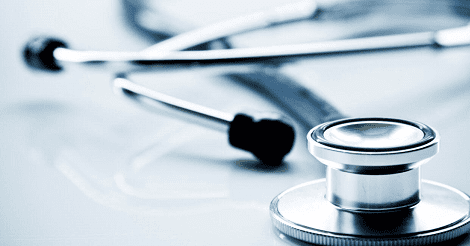 If the FDW medical was done five months ago, as her employer still, you are responsible to send the FDW for her 6-Monthly Medical Examination if required. In the event that the FDW's transfer is unsuccessful and the Work Permit is cancelled or expires, the current employer must repatriate the worker within 14 days from the date of the Work Permit cancellation/expiry. The worker is only allowed to start work with the new employer after the Work Permit has been issued in the new employer's name and any outstanding salary should be paid on the day you release her. For the purpose of transfer, you will not need to pay anything to the maid agency unless you require the agency to provide food and accommodation for the interim. However, do note that the salary of the FDW is to be paid even though she may no longer be performing any work for you while staying with the agency. How much is the maid's levy? The maid's levy is either $265 (normal) or $60 (concession) and to be paid by the employer at the end of each month via GIRO. The maid Work Permit will be cancelled if you fail to maintain a valid GIRO account. The levy for each month is payable by the employer at the end of each month. The payment due date is the 14th (for manual payment) or 17th (for GIRO payment) of the following month. If the 17th is a non-working day, the deduction will be made on the next working day. ii.The employer or spouse has a grandchild who is a Singapore citizen and below 16 years old living with him/her. ii.The employer or spouse is a Singapore Citizen and the other party is a Singapore Permanent Resident aged 65 years or above, both of whom live at the same registered address as in the NRIC. ii.The employer or spouse is a Singapore Citizen and has a parent, parent-in-law, grandparent or grandparent-in-law who is a Singapore Permanent Resident aged 65 years or above, living with them at the same registered address as in the NRIC. Employers with disabilities or who have family members with disabilities and require a full-time caregiver assistance in daily activities (washing/bathing, feeding, going to the toilet, dressing and mobility). 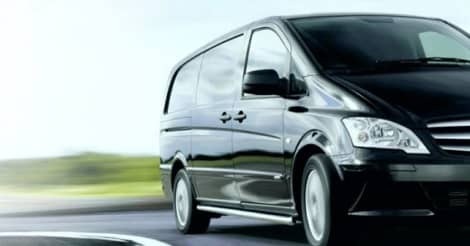 For more information about levy, click here. How long will it take for the Work Permit application to be approved by MOM? We can only proceed with this step once all required documents has been handed over to us. It takes up to seven days to process a Work Permit application. Note: If the Work Permit application is rejected, we will then proceed with Step 3. It takes up to 14 days for the Appeal to be accepted and Work Permit application to be approved. Who can hire a maid in Singapore? As long as you are a working adult who is a Singapore Citizen or a Singapore PR or a foreigner with valid employment pass, you may hire a maid. If you do not have any income, you will be required to show proof of a minimum sum of SG$50,000 fixed deposit before submitting the work permit application for the maid. What's the difference between a part-time cleaner and a live-in maid? The main difference is cost advantage. A live-in maid is basically working for your family as a full-time maid. Her duties may not only be housework, as most cases it will involve cooking and even taking care of your children or elderly. A part-time cleaner is a local who will come to your house for a fixed number of hours on a weekly basis depending on your arrangement with her. Her duties are only housework. The part-time cleaner rate usually starts from $12/hour up to $25/hour. If you do the sums, it can be quite costly to hire a part-time cleaner if you increase the frequency and the number of hours required of her. Should I hire a babysitter or a maid to care for my baby? Besides cost, trust is the utmost importance when entrusting your precious baby to someone to look after while you are at work. We will usually advise to look for a babysitter first and more importantly, she has to be a trusted recommendation. If that fails, then consider hiring a maid but at the start, please ensure you have you mother or yourself to supervise the maid until trust and confidence has been firmly established. Remember, the maid most likely has to juggle a few roles, such as housework and cooking, so do be patient with her during the early stage. What is direct hiring and will I save money to hire a maid this way? Direct hiring basically means finding your own maid or rehiring your previous maid and bringing her to a licensed maid agency like us, to submit the Work Permit Application on your behalf to the Ministry of Manpower. When you direct hire a maid, the only fee you will save is the Agency Fee. But do not direct hire for the sake of direct hiring to save some money. Usually, when an employer comes to us to engage our services for direct hiring, the first question we will ask is, how well do you know this domestic helper. If the employer barely knows the domestic helper, we will advise the employer to rethink because she won't be screened by us as it is a direct hire and if she doesn't work out, there will be no replacement as this is a direct hire case. I need to send my maid home, do you provide maid repatriation service? Yes we do, but please give us at least 3 working days notice to make arrangement for this service. Do bear in mind that, we are not responsible if your maid do not board the plane for whatever reason. We have no control over such a scenario. Our job is to make sure your maid checks-in at the Airport on time, and once that is done, our job is considered complete. What kind of after-sales service does your maid agency provide once we hire a maid from you? We are just a phone call away should you have any questions regarding your maid. If things are not working out with your maid, we will provide free maid-counselling service at our office if needed and if that still doesn't work, we will provide a timely replacement depending on the terms of the service agreement. Besides Counselling Service for your maid, we also provide services like Home Leave Processing, Work Permit Renewal, Passport Renewal and Maid Repatriation Service. Why are Myanmese Maid's salary lower than a Filipino Maid or an Indonesian Maid? A simple answer is supply and demand. Filipino Maids and Indonesian Maids are definitely the more popular choice for most employers of maids in Singapore. Usually, it's mainly because of language. Out of the 3 Nationality, Filipino Maids speak and understand English Language the best. Indonesian Maids can speak little or fair English and at least they can communicate in Bahasa Indonesia which is similar to the Malay language unlike Maids from Myanmar. Do you have experienced caregivers for elderly care? Yes we do but they are in short supply. The experienced caregivers are usually from the Philippines who were not able to complete their nursing course due to lack of money. Hence they are seeking employment in Singapore but mainly performing caregiver's services to the elderly and will not be doing housework and cooking for the entire family except for the elderly whom she is caring for. Salary wise will come at a premium for their expertise but they are definitely the cheapest available option comparing to a nurse or an elderly home which is in short supply any way. My friend has introduced their Filipino maid to us because she doesn't need a maid anymore, can you help with the paperwork? Yes we certainly can. This is a procedure referred to as Direct Hiring in our industry and we only perform the documentation / paperwork in assisting you to obtain the Work Permit for your maid. While we cannot guarantee an approval by the Ministry of Manpower (MOM) but what we can guarantee is that as long as you fulfil the criteria to hire a maid and even if you do get rejected, we will use our expertise to submit an appeal to MOM to obtain a favourable outcome at no additional charge. My previous Indonesian maid wants to come back to work for us, can you assist? I will employ her as our second maid as our current is a Myanmese maid. Sure! So far, we have a 100% success rate to help employers direct hire their previous Indonesian maids back to Singapore. As long as she has no adverse records with the Ministry of Manpower (MOM) and you fulfil the criteria by MOM to hire her as an additional maid. If I get a domestic helper from you, am I entitled to any replacement in case she isn't suitable? If it isn't a direct hire, then yes we do offer a replacement in case the domestic helper isn't a good match. Selecting the replacement helper is subject to your confirmation after you have interviewed and assessed her suitability. Does your maid agency do recommendation of helpers? Yes we do. We will use our more than 30 years of experience to recommend the most suitable domestic helper based on your requirements at that point of time. Different household has different needs and different point of time has different domestic helpers available. While we do make recommendations, the ultimate decision still lies with you and we will simply advise you after you have interviewed the domestic helpers presented to you for your consideration. Do you have part-time maids? No. We only place out full-time maids mainly from the Philippines, Indonesia, Myanmar, Indian and Sri Lanka. Our maids are mostly experienced maids in Singapore, some are on transfer and some have decided to go back first to have a rest before starting a new 2 years contract. Can you assist my current helper to find a new employer? Yes we can. Please allow your helper to visit our office @ Lucky Plaza #03-52 and we will first screen her suitability for our clients. If she is suitable, we will next pass her a set of forms for you to sign. Subsequently, interviews will be arranged at our office and usually we are able to find a new employer for your helper within 2 weeks. Some even on their first day of interview. Give us a call @ 6735 3456 should you have more queries. 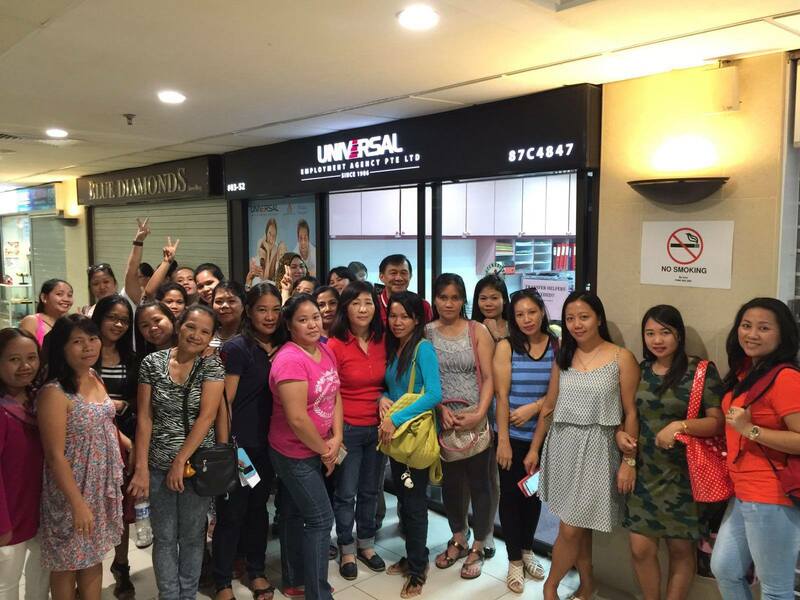 Why should I choose Universal Employment Agency Pte Ltd over other Maid Agencies in Singapore? With more than 31 years of experience, Universal Employment Agency Pte Ltd is confident in finding you the right maid for your family! We are able to assist your family to find a suitable maid because of our wide network and esteemed reputation built up over the many years. We are able to source for experienced Filipino & Indonesian Maids who have finished their contract(s) and able to transfer anytime. Extensive background checks and interviews will always be conducted before we present to you potential candidates for your consideration. What is the minimum wage for a maid in Singapore? 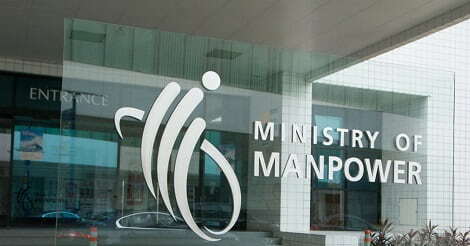 Ministry of Manpower (MOM) does not stipulate a minimum wage and would prefer market force to determine the salary. A good guide will be to refer to the Average Maid Salary on our homepage. How to hire an additional maid? If your family nucleus consists of 2 children under 18 or 1 child under 18 and 1 elderly above 65, you should be able to qualify for an additional maid. Your combined annual income should at least be SG$50,000 and above. Am I responsible to buy an air ticket and repatriate my maid when she is the one whom initiated to break the contract prematurely? The hard truth is yes. As an employer, even if your maid has only worked for you for a day, the fact is you are her employer and the Ministry of Manpower takes this very seriously should any complaint be made against you for forcing your maid the pay for her air ticket back to her country of origin. Are you an accredited maid agency? 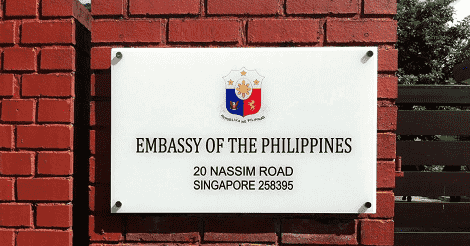 Yes and we are proud to say that we are accredited with not only the Philippine Embassy in Singapore but also with the Associated of Employment Agencies Singapore (AEAS) for many years already. Are you a licensed MOM maid agency? Yes we are a licensed maid agency with the Ministry of Manpower, for over 30 years and counting. We have served 3 generations and definitely look forward to serving more generations to come. Is a domestic helper and foreign domestic worker the same person? Yes, they are the same person. More commonly referred to as Maids in Singapore. Although maids isn't the best way to describe our wonderful domestic helpers, our preference is to refer to them as helpers but the Ministry of Manpower refers to them as Foreign Domestic Workers (FDW). We prefer someone with reference and good working experience whom we can interview in person, does your agency have any experienced transfer maid? Most definitely. In fact, not many agencies in Singapore cater to this niche market but we are able to do so as a result of our extensive network built up by virtue of trust and word of mouth to spread the Universal brand name to the foreign domestic helpers in Singapore. We have successfully placed out many experienced transfer helpers to both local and expatriate families in Singapore for many years. If you need an experienced domestic helper urgently, then choosing a domestic helper on transfer is probably the fastest option you have. Speak to us today! Would you consider your agency to be the best maid agency in Singapore? We wouldn't want to agree or disagree but we would rather let our more than 30 years of track record do the talking. While we can never guarantee the best maid, what we can guarantee is our professionalism and service to serve you and to find you the right maid based on your requirements. Every family has different requirements and every maid is different too. However, what makes us different from other maid agencies is our ability to understand both our customers' needs, the employer and the maid to ensure a successful match. Why are some maid agency fee lower than yours? The reason is simple, the maid is paying the bulk of your agency fee for you. If you bother to ask the agency how much the poor maid is paying, then you will understand. To some, it seems alright since it is the maid paying and paying a higher agency fee doesn't guarantee the perfect maid / bestmaid, but ask yourself this, when the maid is burdened with so much "loan" and her family is waiting for her to send back some money, do you think the maid will be in her best condition to serve your family wholeheartedly? Ideally, it should always be the employer to pay the whole sum as we are sure no one likes having to "pay" for a job, would you? I am a first-time employer and ready to hire my first maid, what should I do? The first thing to do is to give us a call @ 6735 3456 and provide us with your detailed requirements. Same time, you should complete your Employer's Orientation Programme (EOP) which is a mandatory training programme for all first-time employers who wish to employ a foreign domestic worker (FDW). To sign up, you should have your SingPass ready and the fee for Online E-Learning is S$46, payable with your Visa/Master cards or Internet Banking. It will take you no more than 2 hours usually to complete the course online and once that is done, please print out a copy of your EOP Certificate and give it to us. For my replacement maid, am I able to select someone who isn't in Singapore? Yes you may but bear in mind that the cost to bring in a maid from overseas versus a transfer maid in Singapore is totally different. We will advise you accordingly then. I wish to hire a transfer maid and wish to conduct the interview at my home, is it possible? Our company's policy is strictly no. For safety reasons and also for the lack of time. If the transfer maid travels all the way to your home and back to our office, she only has 1 interview. But if the interview is done at our office, she may have 3 interviews, thus increasing her chances of getting a confirmed employer faster. Most transfer maids actually have limited time and they can't afford to lose precious time. Can my FDW follow my kids to my Mother-In-Law house and do the housework there while my MIL takes care of my kid? This is a pretty grey area but our understanding from the Ministry of Manpower is that your Foreign Domestic Worker (FDW) should always reside and perform work only at your residence. In this case, as long as the FDW does minimal housework and do not have to do housework again at your residence on the same day, then it should be fine. This is also provided your kids are at your MIL house. It cannot be a situation whereby you simply instruct your FDW to go do some minimal housework at your MIL house and your kids are not there. What does your maid agency fees include? The maid agency fee is for our service of location, identification and introduction of suitable maids for your consideration. Our maid agency fee also includes a replacement guarantee in case the current maid isn't a good fit. After sales service such as maid counselling if the maid is homesick or couldn't adjust to your household, this is especially so for new maids who have never worked in Singapore before. Most times, our maids are experienced transfer maids or experienced maids who have worked in Singapore before. We call them Ex-Singapore Maids. Can you provide accommodation for my maid while I am on holiday? Yes we can provide food and accommodation service but only for our clients due to limited space. Do enquire with us at least 7 days ahead of time if we have any available space for your maid to stay with us. Do you have maids that can accept $500 or lower in salary? No we don't. Most maids salary, even for a first-timer maid will start at $550. It is rare to find a maid who will accept anything lower than $550 salary and even if you do manage to find one, she may not last her full 2 years contract with you. In the end, you have to repeat the search process and spend unnecessary money again to hire a maid. Also time is spent having to retrain the new maid. The lowest salary in the market will be those fresh Myanmese maids without any working experience, which will start at about $500 with weekly days off. Since weekly days off is mandatory as stipulated by the Ministry of Manpower (MOM), unless the maid chooses to forgo her day off in lieu of monetary compensation which is calculated as base salary divided by 26 days. Therefore, if the Myanmese maid salary is $500 for example and she agrees to forego all her 4 days off, her total salary will be $500 + $20 per day off, for a grand total of $580.